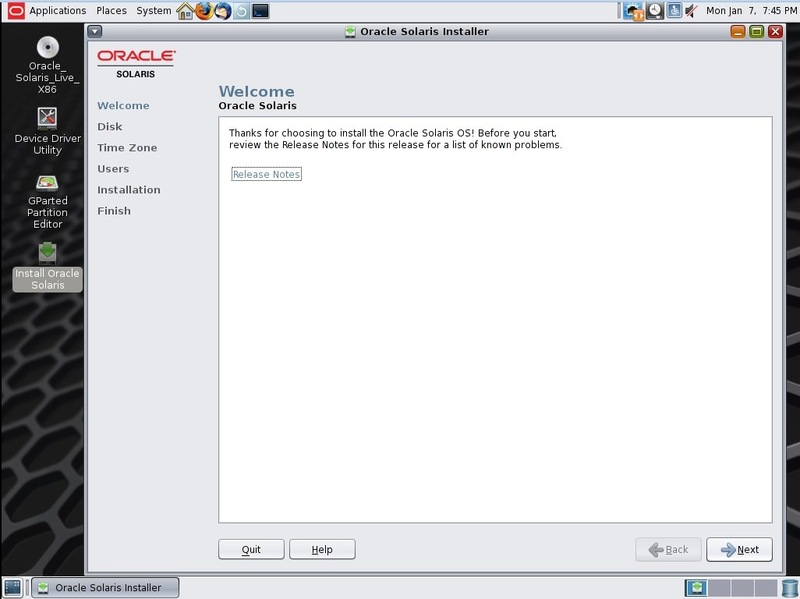 Oracle Solaris 11 can be installed in a number of different ways - from a hands free server based automated installation to a text or graphical installation (Live Media). 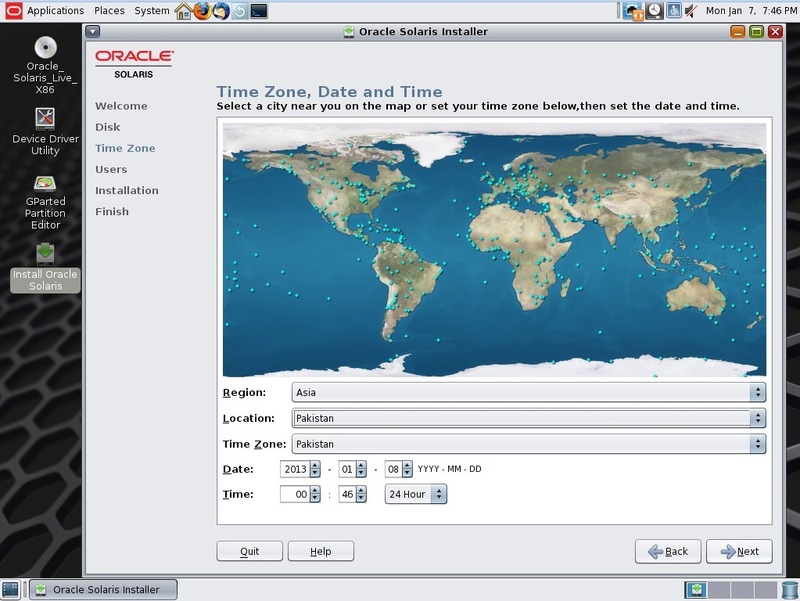 Installation is easy and fast, and can be customized with additional software using the Oracle Solaris 11 network based package management system. 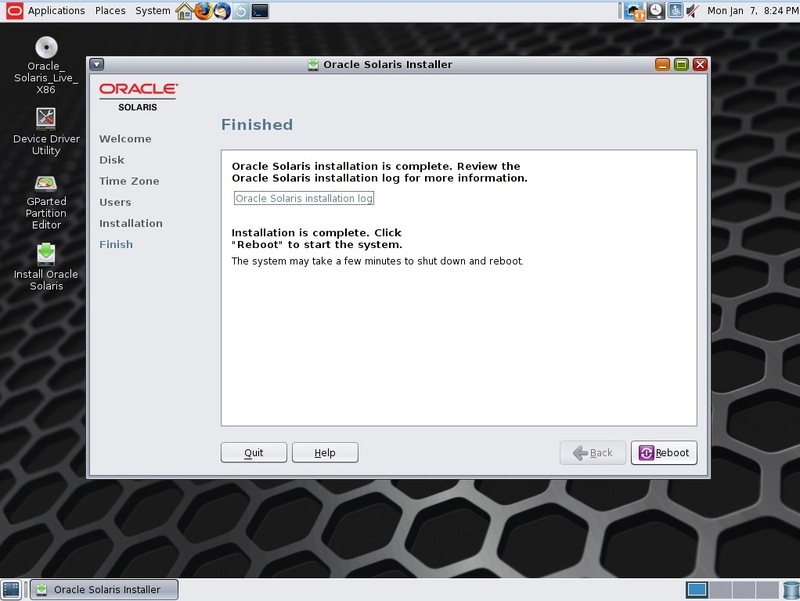 The Live Media provides administrators with an opportunity to explore the Oracle Solaris 11 environment without installing it on a system. The system boots off the media directly allowing administrators to start the installer should they choose to install it to a system. 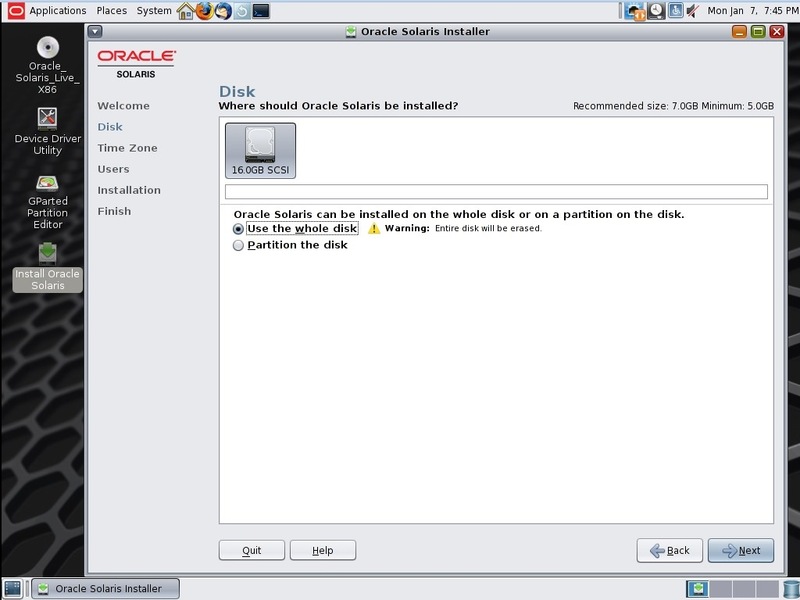 Either you install oracle Solaris 11 on a virtual machine or on a bare-metal hardware, the installation steps will be remain same. In my lab I will be using VMware Workstation 9.x to install Solaris 11. Mount your Solaris 11 live media into virtual machine or insert DVD into physical machine DVD-Drive. 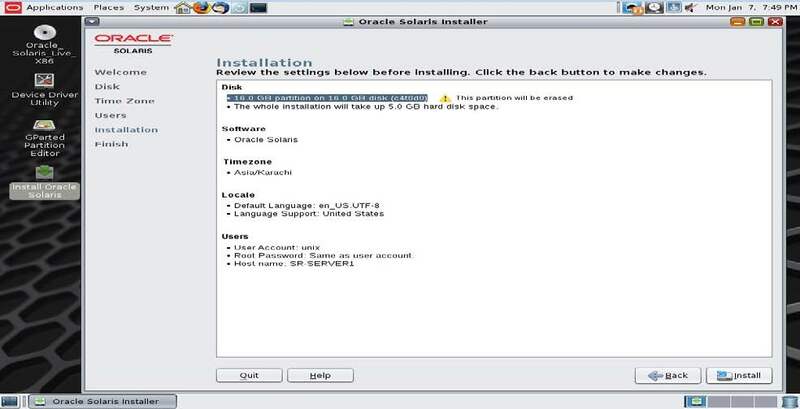 Power-On machine and follow the instruction for successful installation of Solaris 11. 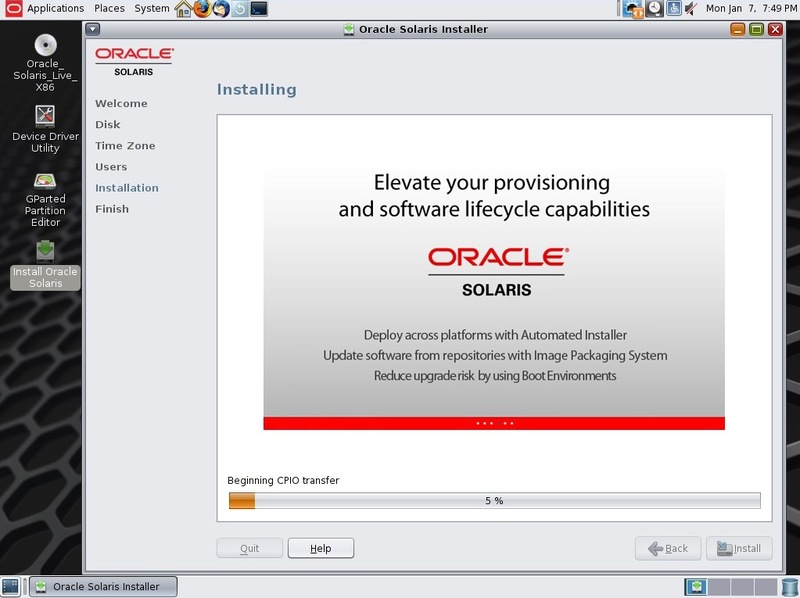 Above Process will take 3 to 5 minutes to launch following Solaris 11 Desktop and then you can start installation. 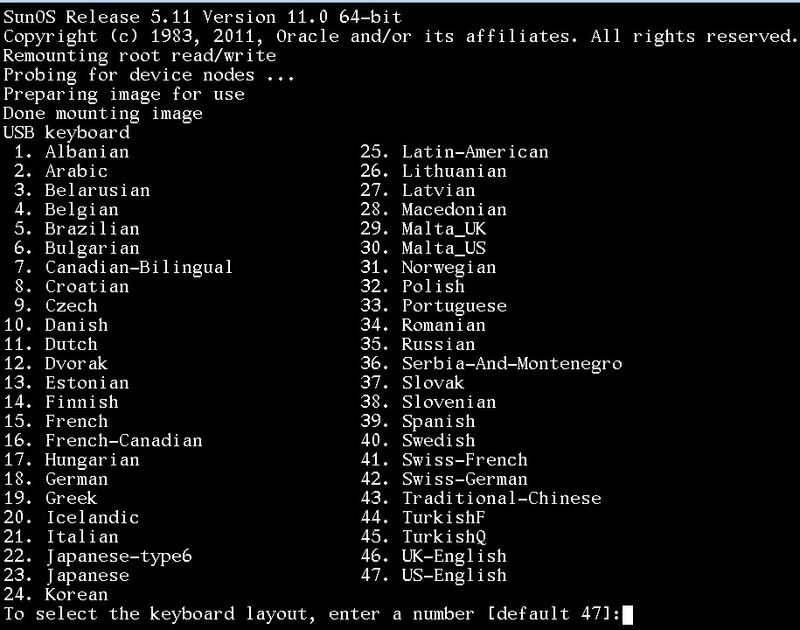 Fill user information (Remember! Solaris 11 doesn’t allow you to use root as a user to login, Oracle has changed root from User to Role and you must create any user to login to oracle Solaris and then su - root to switch Administrator mode wherever required) Provide Computer name as well and then click Next. This process will take approx. 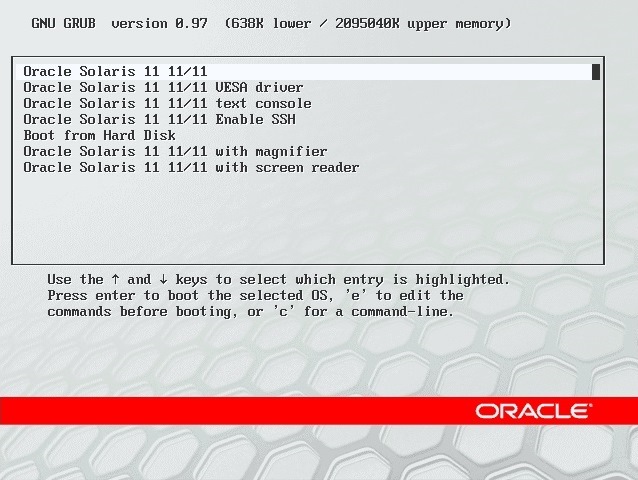 15 to 20 minutes to complete, depends on Hardware performance then it ask to reboot and then you ready to go with first Solaris installed machine to perform further activity. Installation completed. Click reboot and eject Solaris 11 disk or dismount iso image from virtual machine.